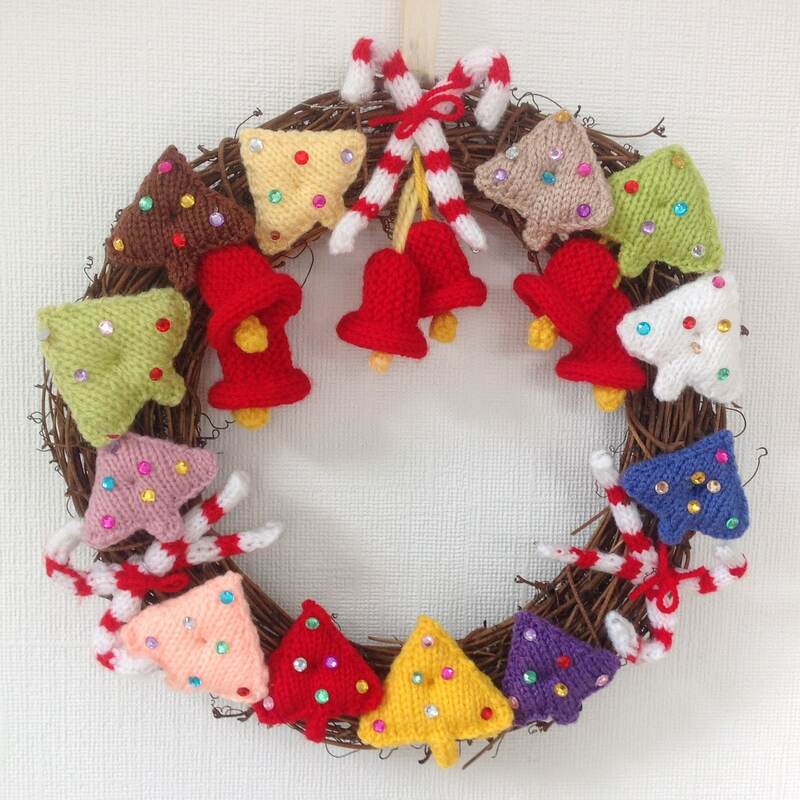 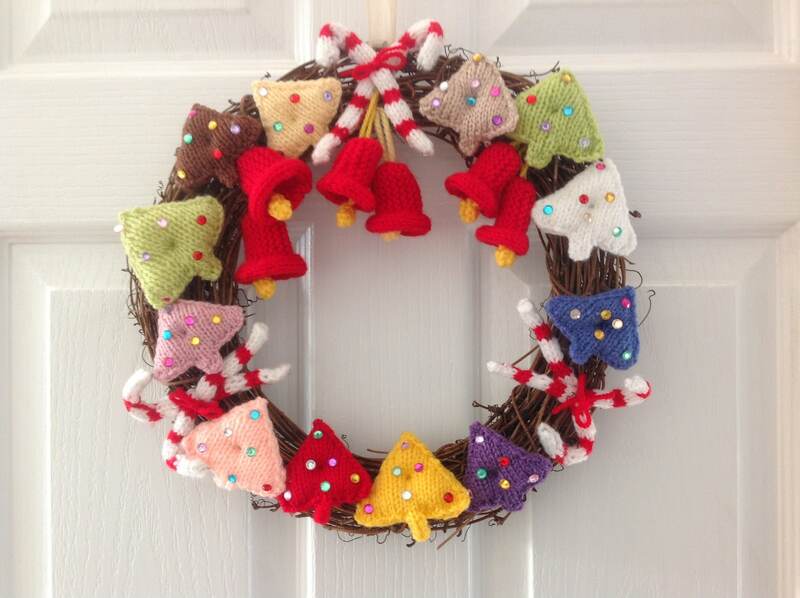 Knitting pattern for a colourful Festive Christmas Wreath. 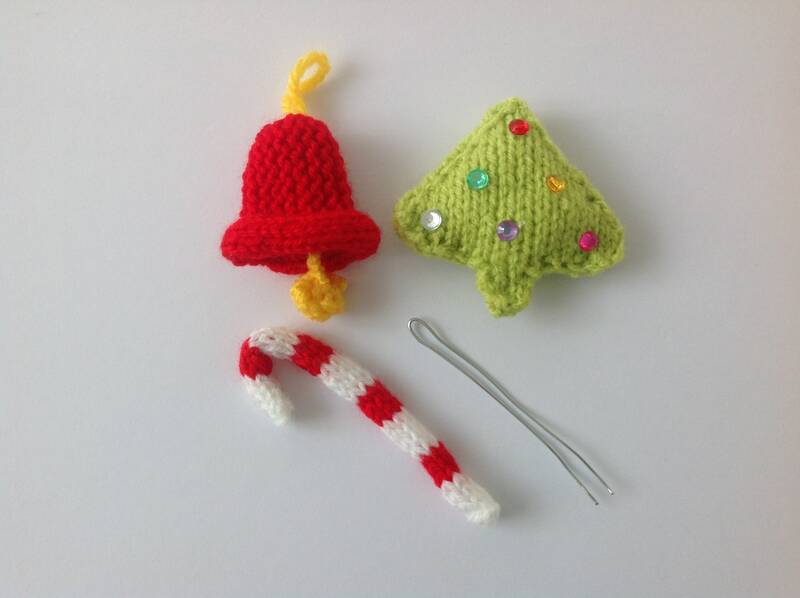 The pattern has instructions for knitting the Christmas Trees, Candy Sticks and Bells and how to wire them for the arrangement. 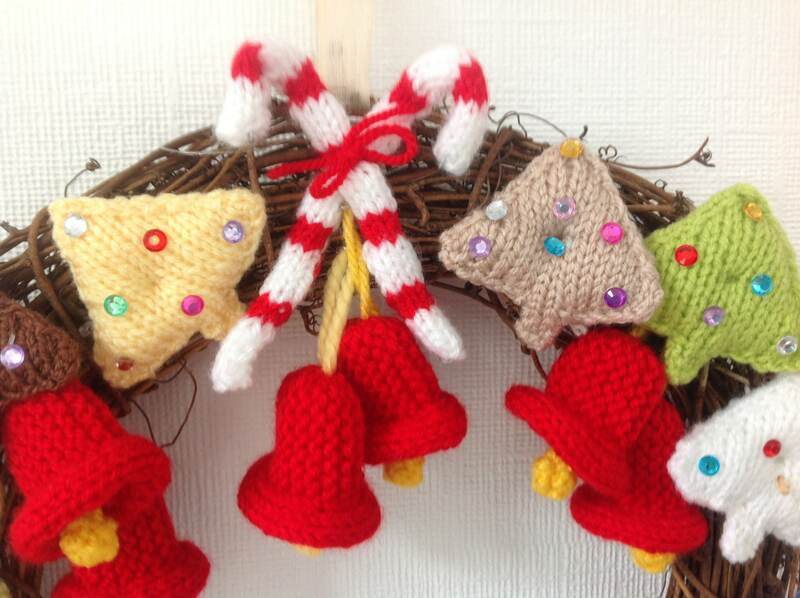 Easy and quick to knit. 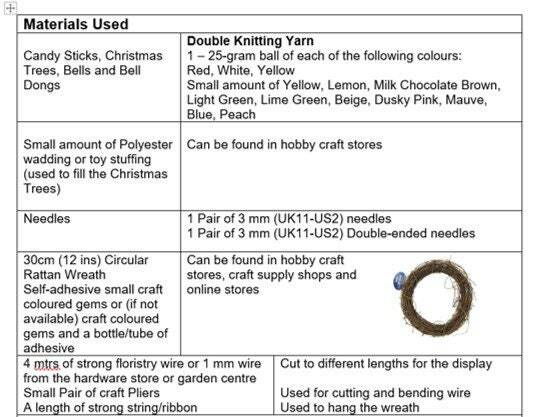 Useful for those small oddments of yarn knitters have stashed away.Not quite at the assembly stage yet but seems straightforward.